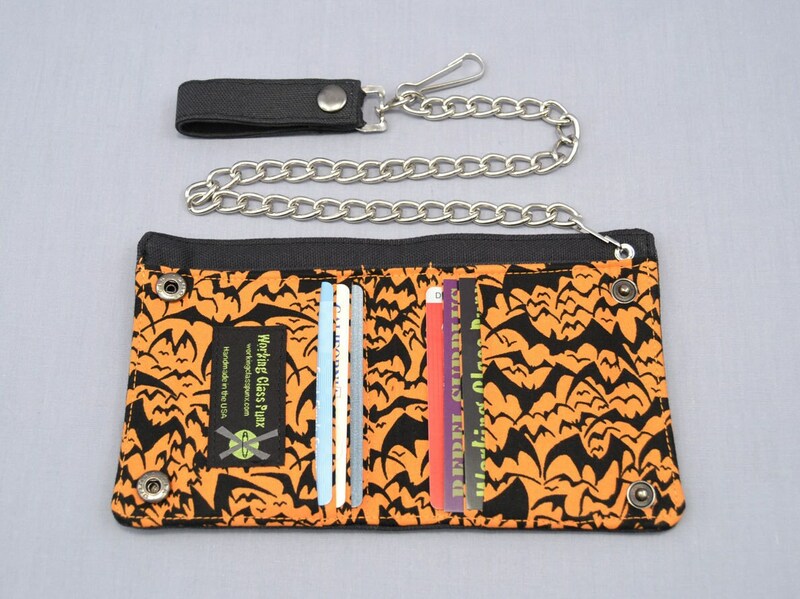 Vegan, black canvas bi-fold chain wallet features pockets made with 100% cotton orange and black bats swarm Halloween fabric. Arrived earlier than expected! 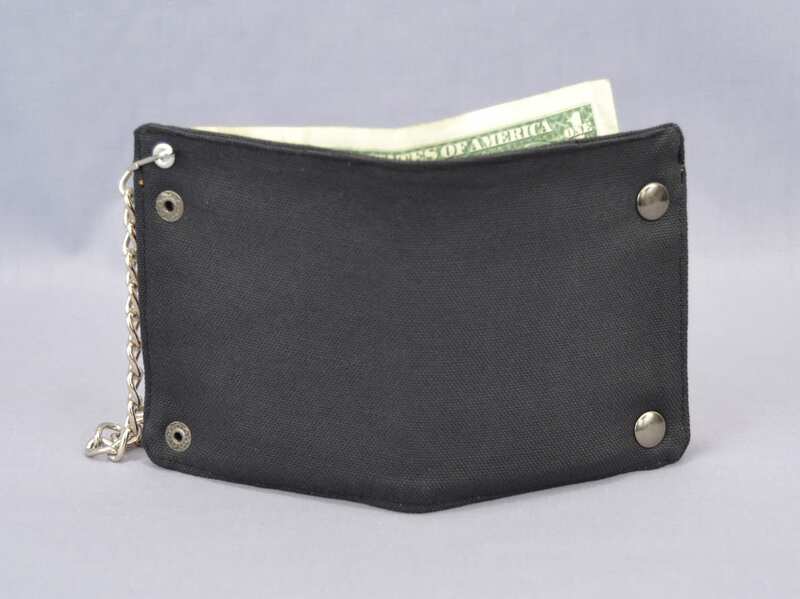 Good quality and super cute! The only reason I am giving it 4 stars rather than 5 is because I have yet to try it out. 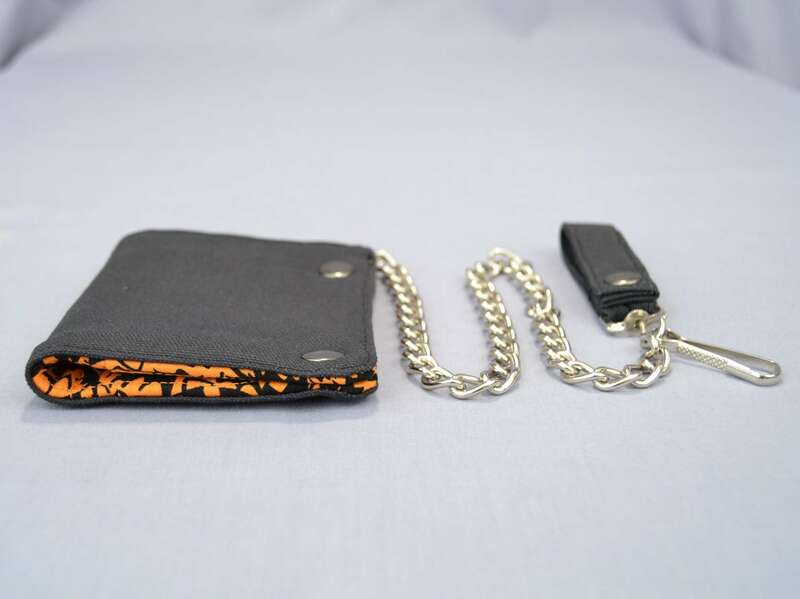 Thank you so much for an awesome product! LOVE IT! 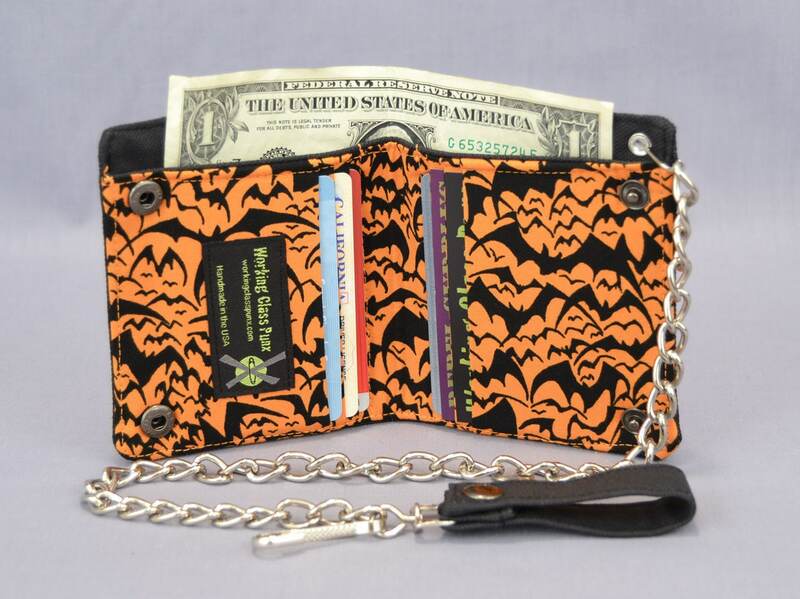 And now I get to carry a little Halloween spirit around in my purse year round!